We also offer several other ways to promote your Android app. AppSales has more than 1 Million downloads on Google Play and is very valued among its users. Its popularity makes AppSales the perfect platform to promote your Android app. These apps are temporarily free! 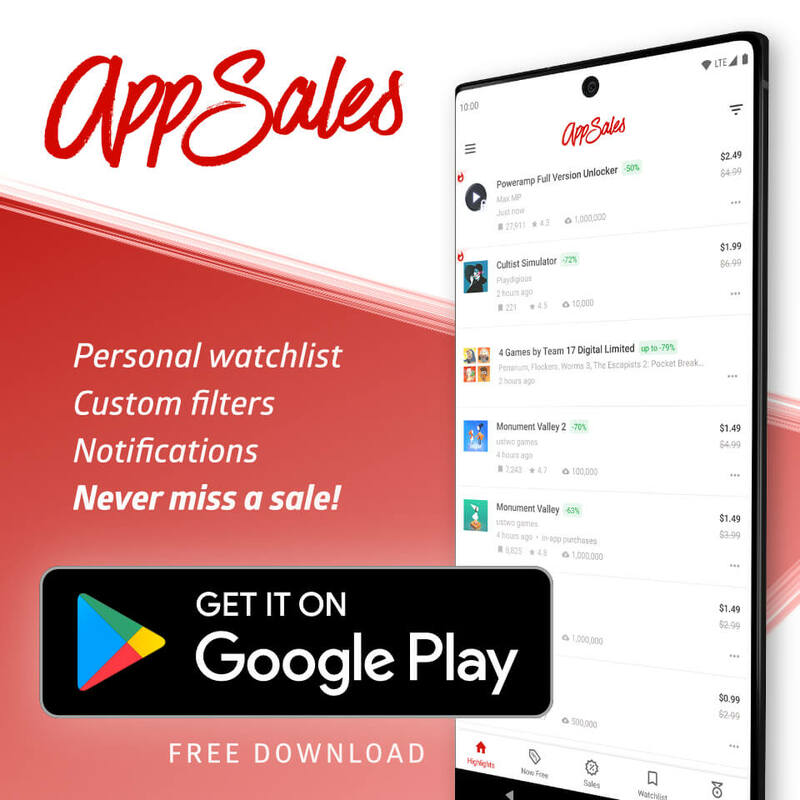 Discover the best sales and temporary free apps on Google Play. Our free Android app is the #1 sale tracker with more than 1.000.000 downloads. Select USD if your country is not listed. Most sales listed at AppSales are usually globally available.